Macau Studio City is the latest casino addition to the Cotai Strip and it takes the term luxury to a whole new level. The casino was opened on 27th October 2015. Studio City is the first casino in Macau to incorporate film, entertainment and fantasy into one building. 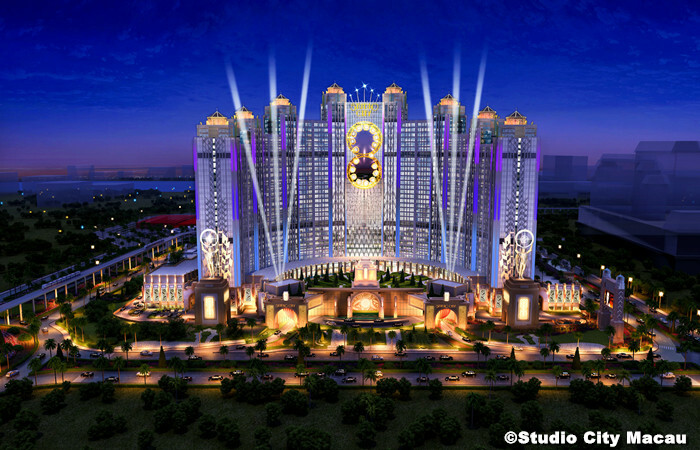 The design team behind Macau Studio City is the LA based design team that also designed Macau Galaxy Resort. The two towered hotel is a place of magic, apart from the world standard performance arena there is also shopping and delicious dining options. Be prepared to be amazed! The House of Magic is great entertainment for audiences of all ages. The show is hosted by the famous American magician and illusionist Franz Harary. The show takes place in the three theatre arena where you will enjoy the most magical show which involves magnificent illusions and extraordinary magic tricks. The performance is made up of three individual magic shows, so you get three shows for the price of one! The highlight of the show has to be Franz Harary’s “Mega Magic” which as created exclusively for The House of Magic. The House of Magic is available every day and is definitely worth going to see! The design and architecture of Studio City is based on Gotham City a fictional city in Batman. To live up to expectations Studio City also has the adventurous 4D stimulation ride Batman Dark Flight. The ride uses the newest flight simulation technology and the best audio and visual graphics to create a ride that’s out of this world. You will join Batman on his quest to save Gotham City from the infamous big villains such as The Joker, Two-Face and Poison Ivy. During the adventure you will come across car chases, crossfire and explosives! Take a ride on the world’s only figure 8 Ferris Wheel which is 130 meters in the air! The Golden Reel allows visitors to get a panoramic view of Macau’s Cotai Strip and as one of the world’s most iconic attractions it will be an unforgettable experience. There are a total of 17 cabins with each cabin accommodating a maximum of 10 people. The ride lasts for 15 minutes and is truly a spectacle! .